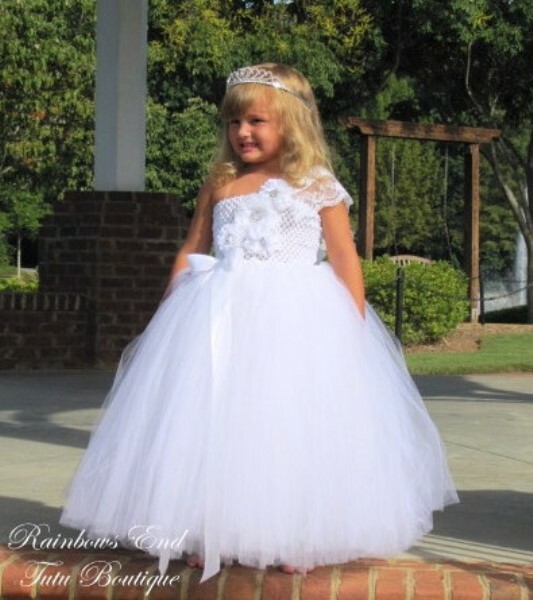 This AMAZING tutu dress will transport your little girl to a different time and place. She will be a vision in the Elegance in White tutu gown. 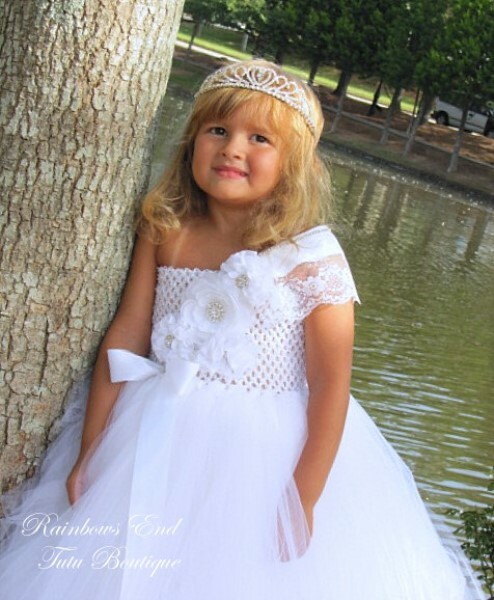 A perfect flower girl or junior bride dress for any romantic wedding theme. A collection ranunculus and chiffon flowers with outstanding rhinestone centers, adorn the bodice of this dreamy pure white gown. A one shoulder satin and lace tie also embellished with rhinestones completes the look. Tiara is NOT INCLUDED.